It was a hot afternoon in Ghour Al Safi town on the 22nd September 2016, close to the lowest point on earth. Everyone leaned towards the television to catch the result they had all been waiting for: ‘Sabah Shuaar – 6,680 votes’. From the outside terrace where we were sitting with the candidate and her male relatives and neighbours, there was applause (…) The first ever woman outside the women’s quota in Ghour Al Safi, Karak Governorate had been elected to Jordan’s National Parliament. 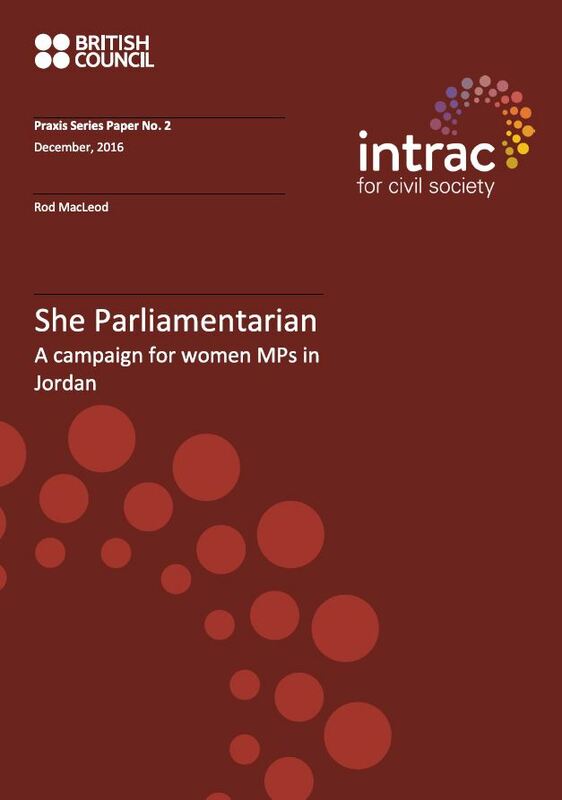 INTRAC Principal Consultant Rod MacLeod analyses the success of the She Parliamentarian campaign in Jordan in our latest Praxis Series Paper: ‘She Parliamentarian: A campaign for women MPs in Jordan’.